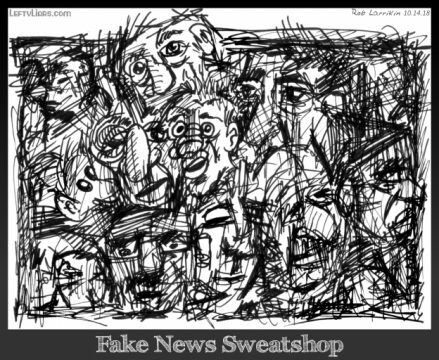 Today Fake News continued bullying President Trump over his new acting attorney general, Matt Whitaker. They are frantic about the issue because Whitaker can take out Mueller without hurting the POTUS. 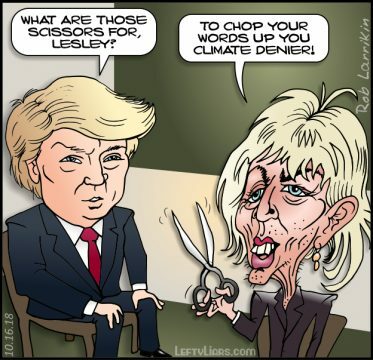 He will be bullied and hassled to recuse himself from Mueller’s witch-hunt. We can see from this thuggish behavior how Jeff Sessions was browbeaten into recusing himself. It was not as obvious in Session’s case because he would have allowed them into his office to threaten him to his face, until he surrendered. In Whitaker’s case he will not let the thugs in so they have to intimidate him over the airwaves. They know the message will reach him, but it will also reach the public. Fake News’ approach is to bombard Trump with nutty questions about Whitaker. 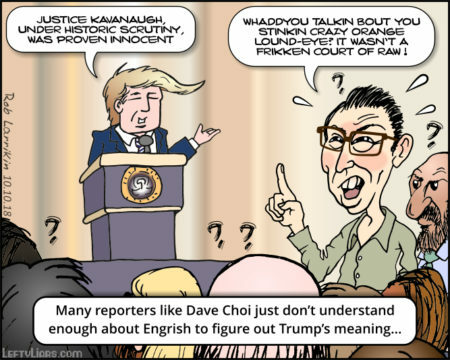 They find any silly issue to fashion a nothingburger with, and together as a coalition of People’s Enemies, publish the “story” simultaneously, battering Americans with nonsense. Each day they come up with several of these nonsense bombs, which is too many for me to write about. I focus on one, but it sums them all up. 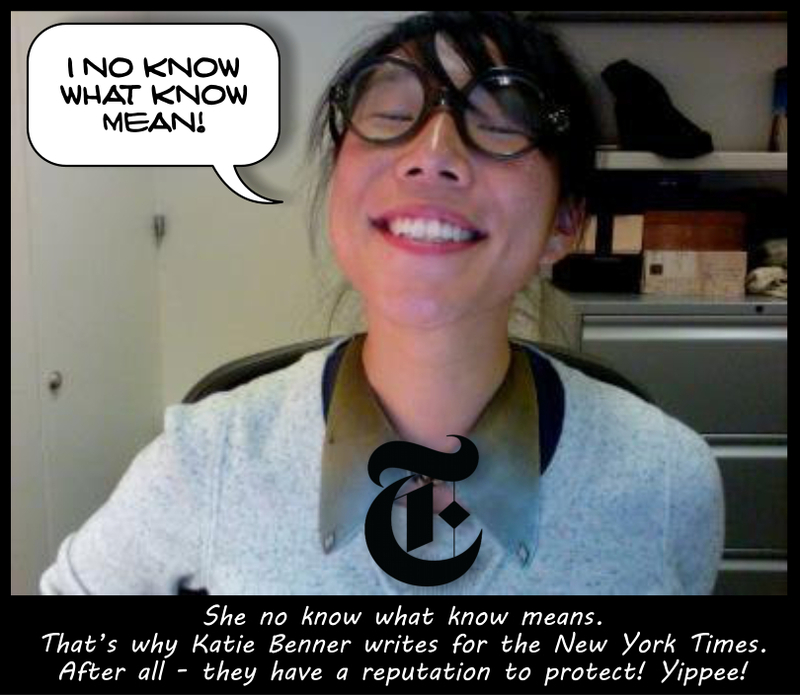 Katie Benner is not the only Asian American employed by the New York Times who is unaware that the word ‘know’ or ‘known’ has two definitions. 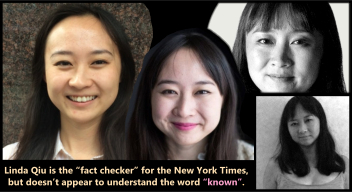 I wrote this article October 1, 2018, about the New York Times ‘fact checker’ Linda Qiu. As I pointed out then, there are two basic definitions, as can be seen here. 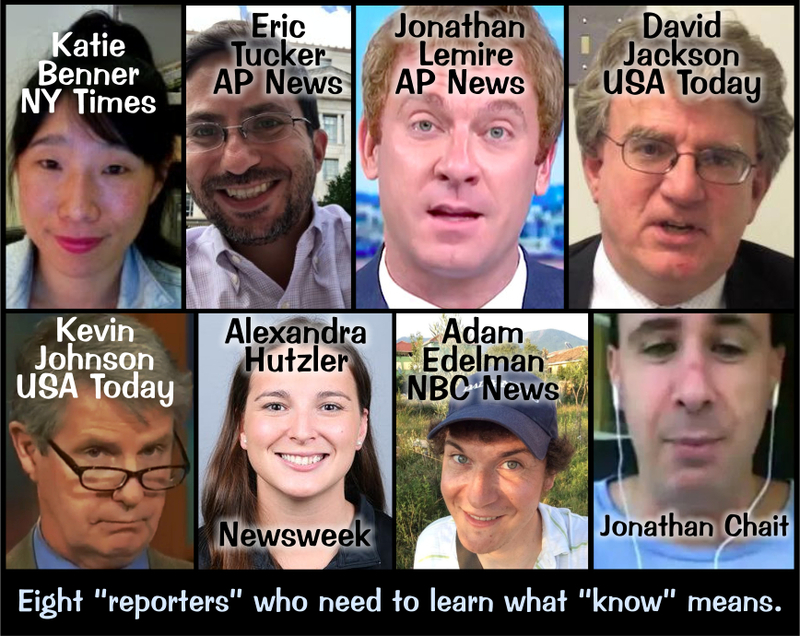 Obviously nobody taught Katie Benner that you can know somebody without knowing them, depending on which definition of ‘know’ you are using. For instance, I know of the doorman but I don’t know the doorman, as in knowing him well. When Trump says he does not know Whitaker he means he does not know him well. He knows of him sure, but that does not mean he knows him. Some reporters have pointed out that President Trump said Whitaker was a “great guy” and “I know Matt Whitaker,” on Fox last month. Again, that does not translate to “knowing” Whitaker in the second definition of the word. You can know the doorman, and even say he’s a great guy, without knowing his wife, family, where he lives or how old he is. You can say he’s a great guy without having spent five minutes with him. 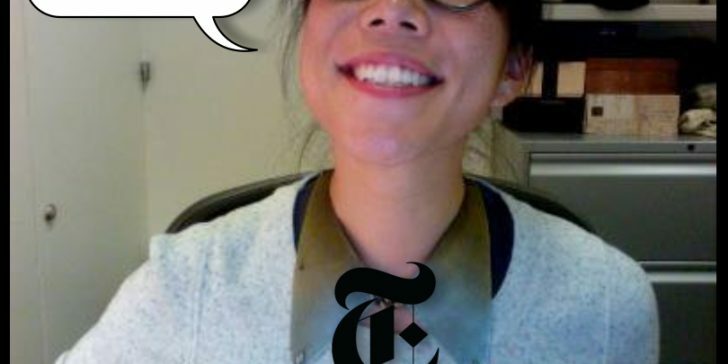 So how much is the New York Times going to pay me for coaching their young naïve reporters Engrish? 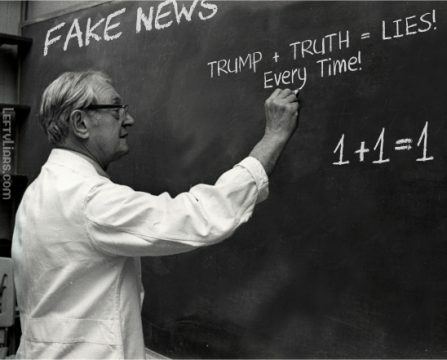 Plenty of other Enemies of the People (Fake News) published the same lie. Just Google “I don’t know Matt Whitaker” or click here. You’ll see Eric Tucker and Jonathan Lemire of A P News, along with David Jackson and Kevin Johnson from USA Today, Alexandra Hutzler of Newsweek, Adam Edelman of NBC News, Jonathan Chait of nymag.com and dozens more. None of these guys understand that ‘know’ has two definitions. Actually they do. They are just hoping YOU don’t.